We all love makeup these days but one thing that we can’t ignore is ofcourse clear skin. Pimple free glowing skin is everyone’s dream.. be it girls or boys. But pimple doesn’t take appointments before making a surprise visit and it has often been observed that pimples are tempted to come just before the special occasions! Pimples can be caused for many things like your diet, lack of nutrients, too much sun exposure, liver problem or even, digestive issues. But what if your pimples are as obstinate as this winter which doesn’t seem to go away.? What do you do? Don’t worry people! I have an amazing recommendation which will cure your pimples right away! Before starting I want to mention that this product doesn’t cure any severe pimple problem, it is only for medium cures. Along with the product, you must take care of your intakes and proper digestion! 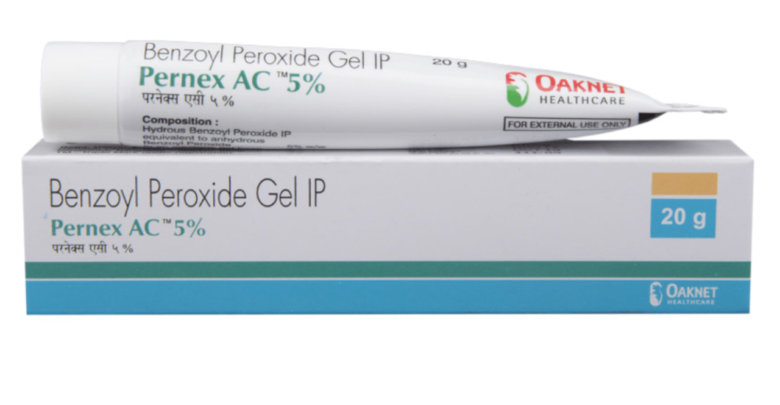 Product name: BENZOYL PEROXIDE GEL IP ( PERNEX AC 5%). Consistency: It is a white gel based cream. Availability: You can find it in medical stores as well as online. Application Process: You have to apply this product after washing your face with a mild anti-acne face wash. Just take a pea-size amount of this cream and apply it only on the affected area, right on your pimples. This cream must be applied only at night, however you can apply it at daytime also if you are staying indoors or at home. Direct sun exposure is strictly prohibited during this treatment and always use either an umbrella or a handkerchief to cover your face. I have personally used this cream and have noticed some amazing results from it. However, only this cream will not magically vanish all your pimples, you must take care of your diet also. Do some exercise, have green leafy vegetables, avoid fast food as much as possible, take the required amount of sleep, decrease anxiety and maintain a peaceful gesture – this will ensure a glowing radiant skin for a long run!